5 years ago, the lunch hour in offices around the world looked very different. Nearly every employee was either heading out to nearby restaurants or bringing their own lunch from home. However, the recent trend of companies providing free lunches is increasingly becoming the norm. And while we initially offered company-sponsored lunch every day at Lever for logistical reasons, we’ve since realized that it’s become core to our culture and employee satisfaction. Free lunch is no longer just a “perk,” and the boosts for culture, morale, and productivity are elevating it to a benefit like health care or a 401k. Think about it – benefits and perks are provided by leadership and HR not because they want to be ‘nice’. Take medical care for example: “going in” as a company means HR can negotiate better rates with insurance providers and simplify choices, instead of letting each employee fend for themselves and spend hours reading through complex plans. This means many hours saved collectively and employees can focus on their jobs and helping their teams. When Lever was trying to recruit talented people as a small, unknown startup a couple years ago, the odds were stacked against us. We couldn’t compete with the salaries of Google or Facebook, didn’t have the brand of Airbnb or Stripe, and recruiting software wasn’t exactly the top choice industry for most startup talent back then. Knowing all that, we decided our competitive edge would be the people and the culture: the caliber of the team and the environment that allows you to do your best work; What top talent values the most in a workplace is not happy hour or a cool brand, but rather, other top talent to collaborate with and learn from. Lunch became a pivotal illustrator of this recruiting strategy. When candidates visit, we ask a Roundtable Question. You can read the full post here, but in short, it’s a simple question answered by not just the job applicant, but the entire lunch table. Many Leveroos, after getting hired, speak fondly of this experience long afterwards, and cite it as one of the moments that helped them make their choices about where to work. Some of them also get to see how down-to-earth and approachable our executives are, observing other employees are at ease in talking with them, while sharing an embarrassing story or two prompted by the Roundtable. Some of the questions are silly and light-hearted (“Do you have a favorite guilty pleasure song?”), some are more thought-provoking and creative (“If you could choose anyone to be your parents, who would you pick?”). By inviting people to reveal as much or as little as they’d like with a low-stakes but flexible prompt, the Roundtable showcases the people and culture behind Lever in an authentic way. 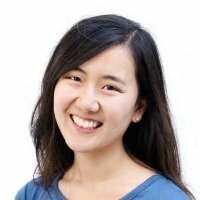 Google is famous for standardizing free lunch in Silicon Valley, and for one specific theory: keeping employees on-campus during lunch meant people from different teams were more likely to have “spontaneous encounters,” which would bore better, creative ideas that benefit the business. Similarly at Lever, “What are you working on nowadays?” is a common question rooted in genuine curiosity about other Leveroo’s day-to-days, as well as a desire to help if they can. No one is chided for asking about projects – and you won’t hear “Man, I don’t want to think about work.” Talking about work is not taboo when people genuinely enjoy what they do, and the people they do it with. We’re constantly hearing stories about how marketers got ideas for new content from account managers, engineers bouncing ideas off with recruiters – these kinds of interactions are priceless. A study on Google’s People Ops found that one of the most important factors in building teams is the ability to foster psychological safety. And to do that, people need to be able and willing to be themselves and be accepted for who they are. To be able to do good work and be productive, humans have a need to belong, and fear of rejection has followed us from middle school to corporate offices. Knowing you can open up and be vulnerable with your colleagues is foundational to great company culture, according to The Five Dysfunctions of a Team by Patrick Lencioni (summary). Whether it’s hearing others’ answers to “What is the one item you have to have in your house?” or being able to admit you’re struggling with something and generating fresh ideas with a colleague, lunch is a forum for small, but meaningful exchanges rooted in authenticity – these instances are less likely to happen in a conference room. 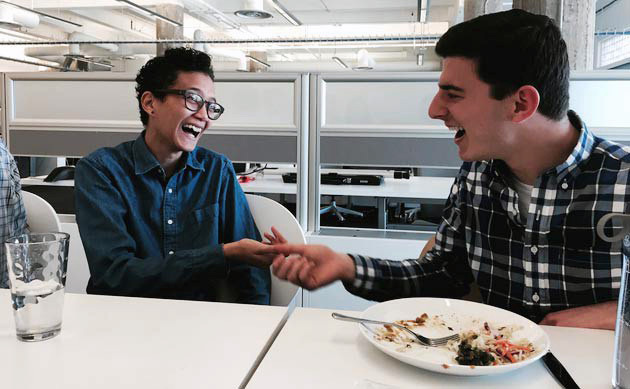 Over years of lunching together at Lever, many inside jokes have been formed, fun facts revealed, commonalities discovered, that have led to an even stronger culture. When salespeople develop friendships with implementation specialists, and engineers are motivated to ship clean code to avoid creating unfair burdens on the support team, emphasis is on team performance over the individual. We’ve all worked with someone who was all about “me, me, me” - as long as they got to win the biggest accounts or the praise from the CEO, they didn’t really care what it took or what consequences it created for others. Companies are increasingly shifting towards more collaborative cultures. This means every employee must understand not only the highest-level business goals, but how their individual goals and day-to-day work will contribute to the bigger picture. It really is as simple as free lunch to build and reinforce bonds between people for small reminders that produce high collective performance. And if your company already provides lunch, make sure you’re getting maximum ROI by being thoughtful about the intent and crafting the experience for your employees. Announce what you’re doing and explain the benefits. Emphasize that it is entirely optional but everyone is welcome, and ask to avoid scheduling meetings during lunch hour. Experiment! Choose a goal and try out different things until you find the thing that works. Is the vibe lacking in liveliness? Try playing some light background music. Are people sitting with the same friends every day? Experiment with some randomizers, like splitting tables by birthday month or hobbies. We don’t know yet how lunch will iterate as Lever grows, but there are a few things that will probably never change. Lunch continues to be served at the same time, same place, every day, allowing employees to have a consistent, safe space to connect with each other and potential colleagues. So, don’t discount free lunches as just another perk - the real meat of the benefit comes in the form of competitive advantages in recruiting, as well as the space for creativity, collaboration, and authenticity. Just don’t forget to offer some vegetarian options, too. Download the free ebook How to Build a World-Class Candidate Experience to make *your* culture a competitive advantage! Connect with me on Linkedin and find me on Twitter - I’m a former recruiter and write about tips, learnings, mistakes, and everything in-between.